How Is A Different Gospel Now Considered The Same Gospel? Apprising Ministries has long been covering the sinfully ecumenical neo-liberal cult of the Emerging Church—a veritable Trojan Horse full of heresy—headed by, among others, the unholy Emergent Church trinity of apostates, Living Spiritual Teacher and EC guru Brian McLaren, universalist Emerging Church pastor Doug Pagitt, and his friend Tony Jones, the progressive “theologian in residence” at Solomon’s Porch. 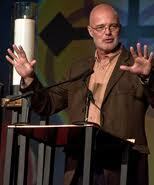 I also told you in Brian McLaren And His New Emerging Progressive Theology that with his lastest book A New Kind of Christianity guru McLaren has begun laying out the new postmodern form of “big tent” Progressive Christianity now preached by the Emerging Church—a Liberalism 2.0—sometimes referred to by these rebels against the final authority of God’s Word as Emergence Christianity. 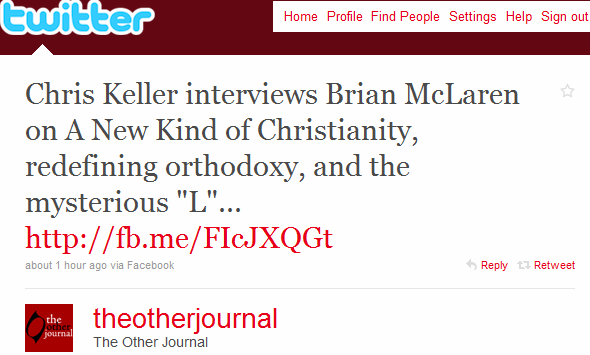 The Center For Progressive Christianity puts it this way when they announce that they are Christians who, “Recognize the faithfulness of other people who have other names for the way to God’s realm, and acknowledge that their ways are true for them, as our ways are true for us.” This is not the Gospel the Apostles preached; it is, in very fact, a gospel contrary to the one you received. I think we need a third option, an “above the line” option, so to speak. That option is a strong Christian identity that says something like this: “Because I follow Jesus, I see you as my neighbor and I love you, as I love myself, whatever your religion. Because I follow Jesus, I believe God loves you and accepts you just as you are. Because I follow Jesus, I believe that the Holy Spirit is active throughout the world and that the light of Christ has already shined on you and is at work in and around you.